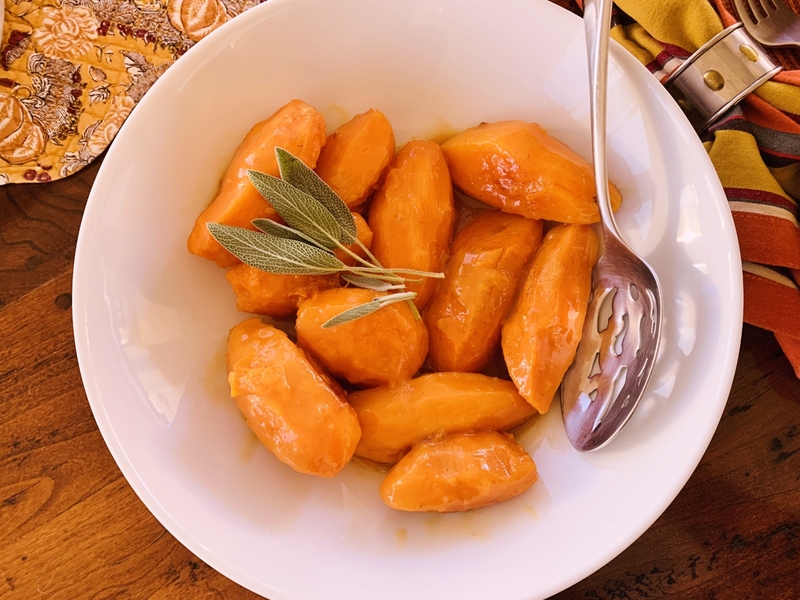 Instant Pot Glazed Orange Sweet Potatoes - Recipe! - Live. Love. Laugh. Food. We are about 10 days away from Thanksgiving, so I thought all week I would prepare a new delicious recipe each day and by the end of the week you would have a full holiday meal. Many of us have our own special way of preparing our thanksgiving menu, however if you are like me – I am always open to a few new dishes each year and like to change things up a bit for my guests, it keeps them on their toes. Whether you are a traditionalist or you are up to changing out a few dishes in your Thanksgiving repertoire, these recipes are delightfully fresh and can be made anytime of the year. Let’s start with sweet potatoes! 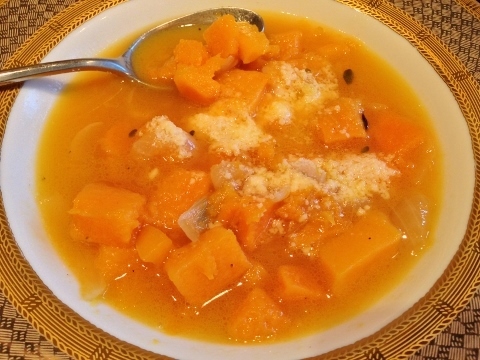 Sweet potatoes are near and dear to my heart – I just love them. 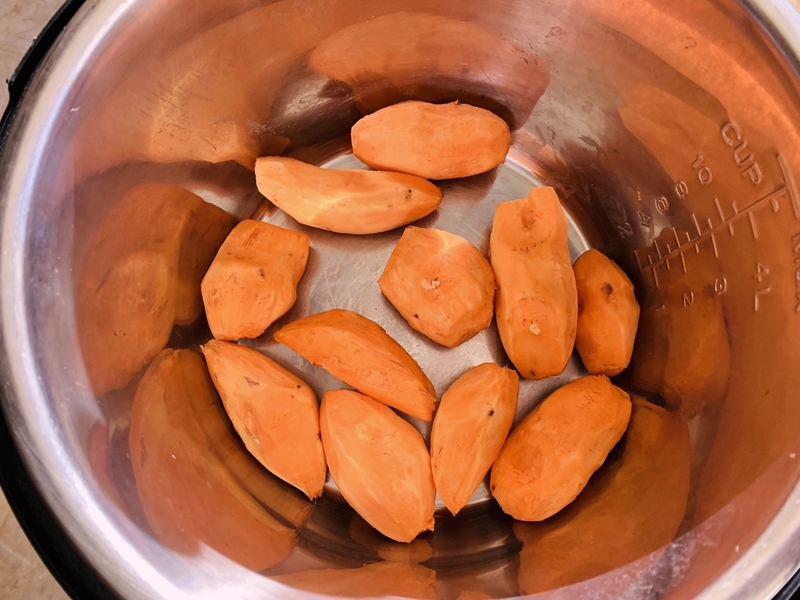 I love them with marshmallows, I love them scalloped, I love whipped until creamy smooth, but this recipe for Orange Glazed Sweet Potatoes could be my all new favorite. I decided to use the Instant Pot for this recipe because it steams potatoes to the perfect consistency without any need to use boiling water, or take up stove space. 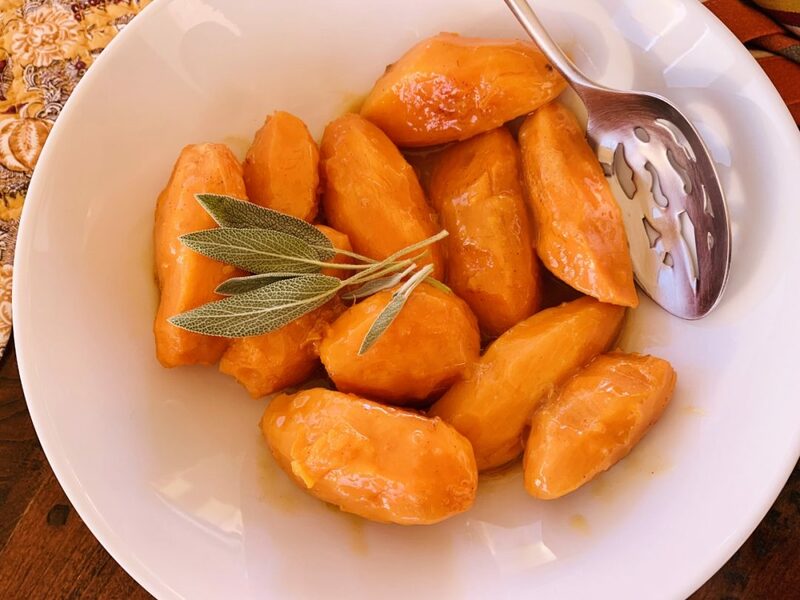 Just peel the potatoes and put them into the pot and whisk up a quick mixture of orange juice, brown sugar, cornstarch and a pinch of cinnamon – literally – it’s as easy as that! These sweet potatoes turn into a creamy citrus heaven that will go so nicely with the rest of your meal. No need for marshmallows here – these potatoes have a nice balance of sweetness without knocking you over with sugar. I think this recipe is a real winner. Place potatoes in pot. In a measuring cup, whisk together orange juice, brown sugar, cornstarch, cinnamon and salt. Pour juice over potatoes and seal with lid. Place nozzle in venting position and set to high for 18 minutes. Let steam release naturally for 10 minutes. Press cancel and then, saute. Let juice cook down for 3 minutes. Spoon potatoes into a serving bowl and pour reduced juice over top. Enjoy! 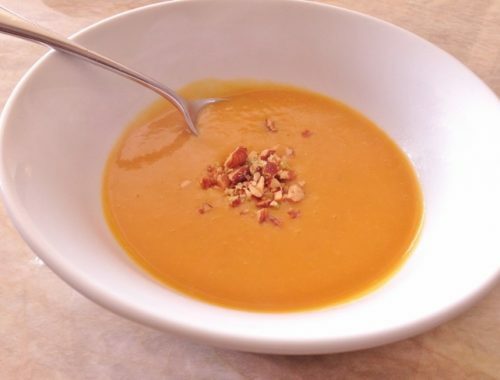 Thai Butternut Squash Soup – Recipe! 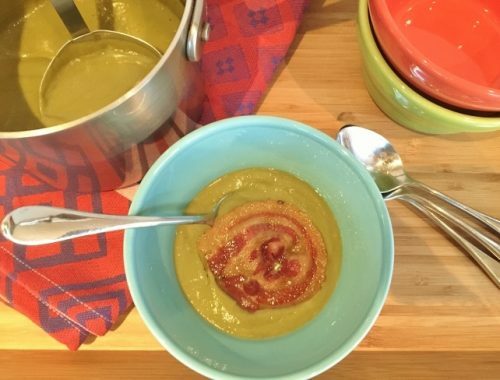 Broccoli Soup with Pancetta Crisps – Recipe!